You are here: Home / Decorating / Instant Summer! 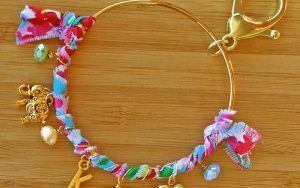 We love summer so we are diving in with these breezy crafts and easy makeovers! Take advantage of warm summer mornings by dining on the patio. A carefree mix of twill and rattan placemats sets a casual mood, while dishes in this summer’s hottest hues add pops of color. 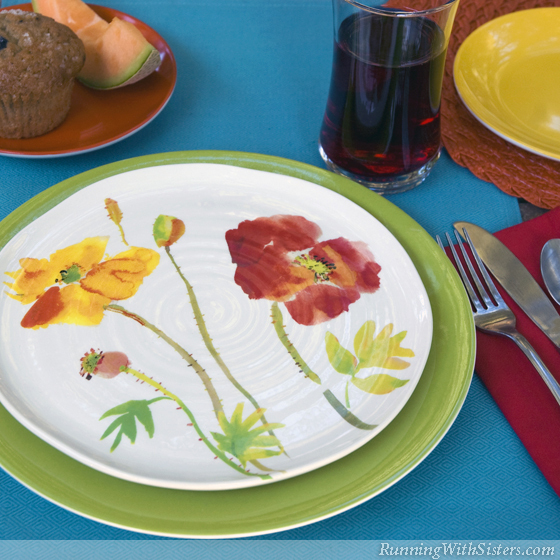 A hand-painted plate featuring watercolored wildflowers tops off this laid-back brunch. 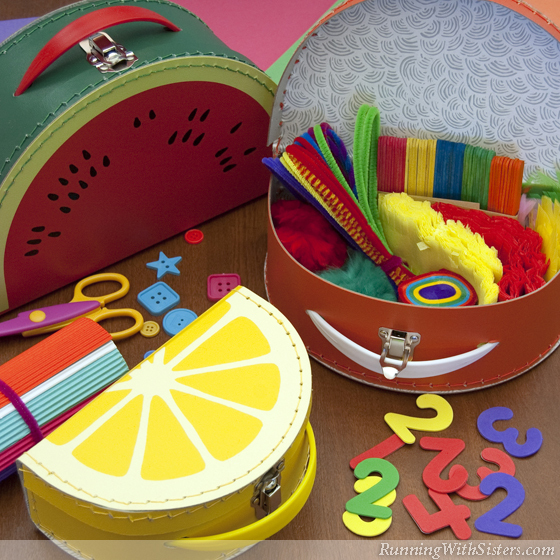 Summer crafts are even more fun with watermelon, orange slice, and lemon carry-alls. These clever containers are the perfect size for storing everything from pipe cleaners to googly eyes. And clean-up is a kick when you have playful containers––whether you’re seven or thirty-seven. Sweeping the floor is no way to spend your summer vacation, so keep the sand out of the house with straw bins by the back door. 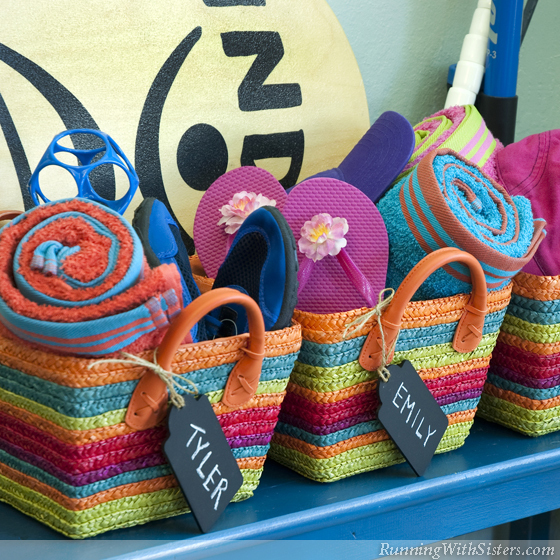 Tie on chalkboard tags to label a striped basket for each family member. Use them to corral clutter like sandy flip-flops, beach towels, and toys, and leave the sand on the beach. 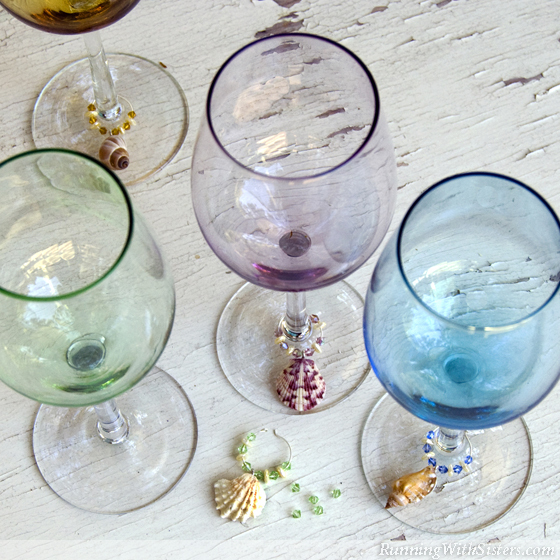 Dress up wine glasses for cocktails on the lanai with stemware jewelry inspired by a seaside stroll. 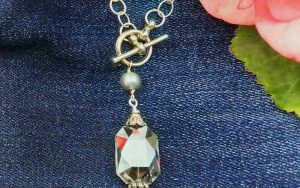 Simply glue pendant bales onto small seashells, then slide them on earring hoops with sparkly crystals and freshwater pearls. With each sip of Chardonnay, you’ll be able to hear the ocean. Freshen up a lampshade with pretty fabric florettes. To make each flower, cut circles of white muslin and yellow seersucker. 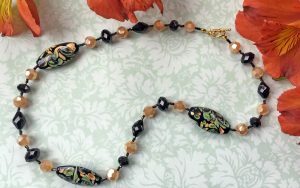 Stack the circles and sew them together with an abalone button in the center. 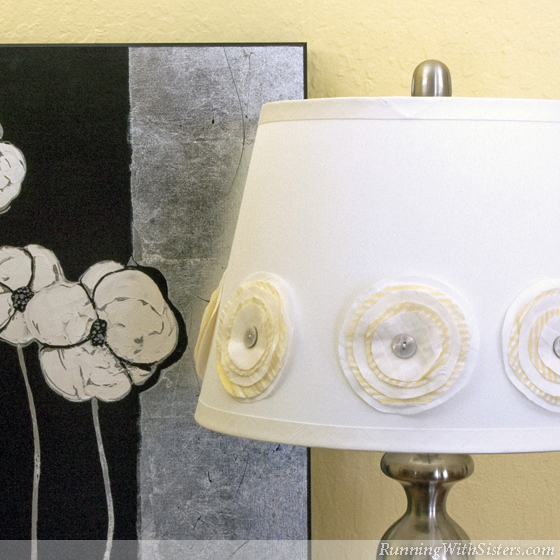 Make a bunch, then tack them around the base of the lampshade with dots of Fabri-Tac glue. 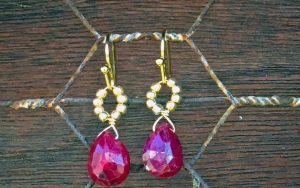 Summer lights never looked so bright! 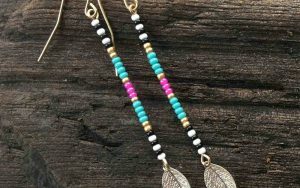 Click here to see Five More Ways To Get Instant Summer!